Perfect for the traveling research presenter! 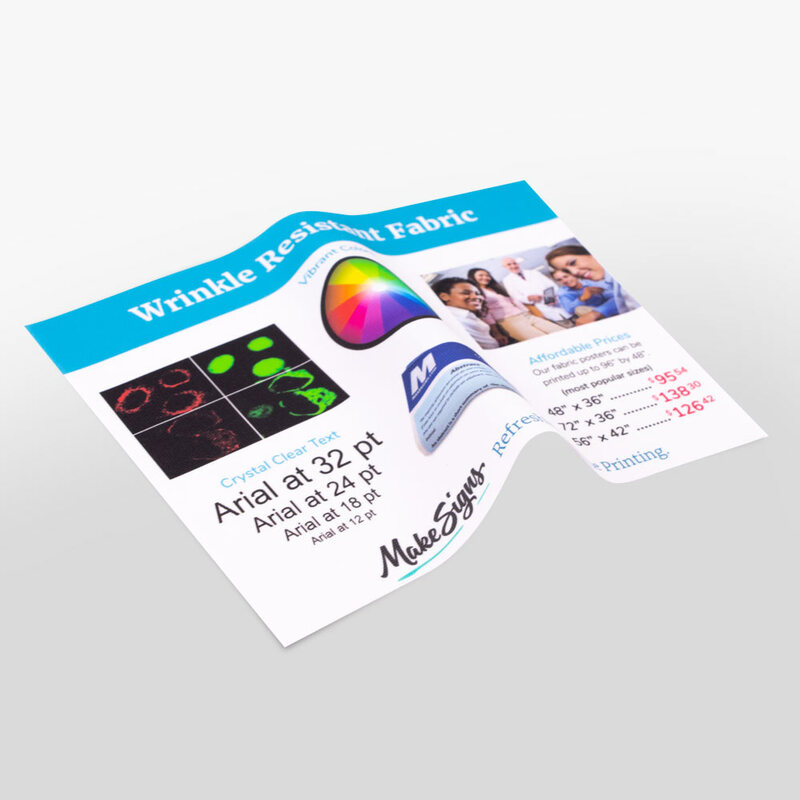 Attend conferences with ease by utilizing our wrinkle, fade, and tear resistant fabric posters. Say goodbye to the stress of an extra carry-on item. You have done all the hard work, make it easy on yourself and present in style. Your presentation will be vibrant, clear, and impressive. Printed and shipped same day when ordered M-F by noon (CT). Available in sizes up to 96". Want a Free Sample Swatch? 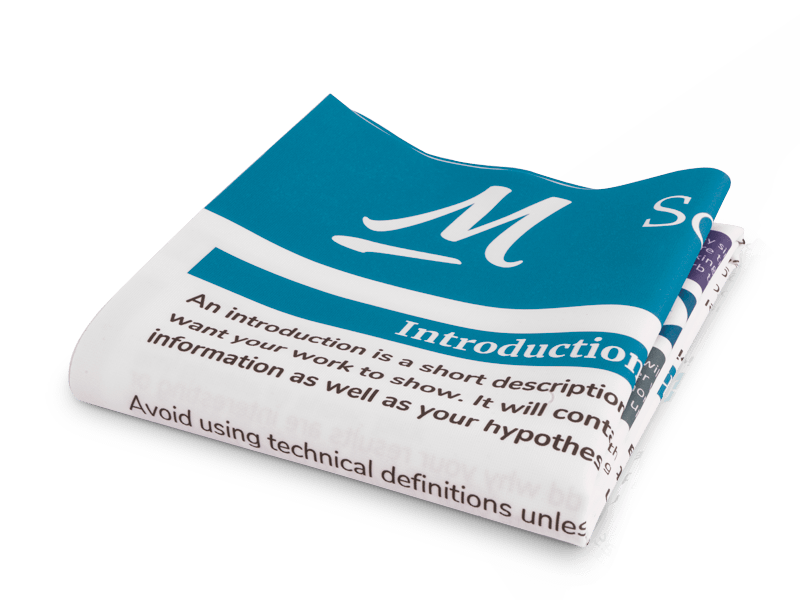 Our free material sample shows off the print quality, crystal clear text, vibrant colors, and polyester fabric. Available to the US only and the sample ships for free! Unpack and hang your fabric poster – soft crease marks will smooth after hanging. 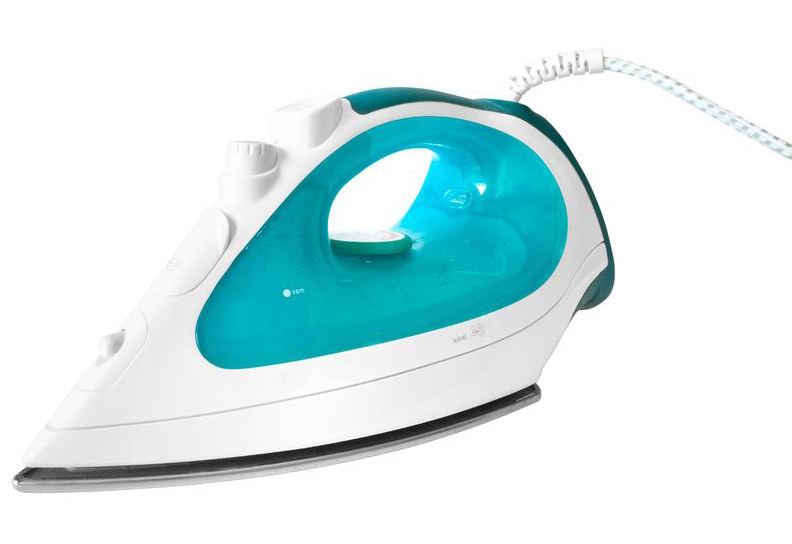 If necessary, use a low-heat dry iron on the backside of the poster. Avoid using steam or spraying the poster with water, as staining may occur. Do not machine wash or submerge in water. When you upload your poster and checkout, your file will be reviewed by hand. If you order on a business day before noon (CT), we will print your poster and ship it to you the same day!